Cook the rice as per pack instructions, drain and set aside. Half and de-seed the pumpkin and cook in a pan with a little water (approx 1 to 2 inches) for approx 40 min's until tender. 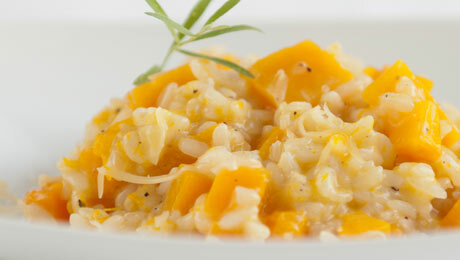 Add the pumpkin, the rice and a small sprinkle of pepper and blend until the right texture for your baby. Older babies are ready for a lumpier texture than younger babies. Thin the recipe with breast milk or formula milk if needed.